North Korea renewed threats against the U.S. territory of Guam as South Korea and the United States prepare for a joint naval exercise next week. “We have already warned several times that we will take counteractions for self-defense, including a salvo of missiles into waters near the US territory of Guam,” Pyongyang said in a state-run KCNA report. It quoted Kim Kwang Hak, researcher at the North Korean Institute for American Studies, which is overseen by the North Korean Foreign Ministry. “The US military action hardens our determination that the US should be tamed with fire,” the statement added. The reclusive, communist country has made such threats in the past. But in August, President Donald Trump said that he would bring “fire and fury” and “totally destroy” the country if North Korea takes direct action. The U.S.-South Korea drill involves the aircraft carrier, the USS Ronald Reagan, slated to begin Monday in the waters east and west of South Korea. 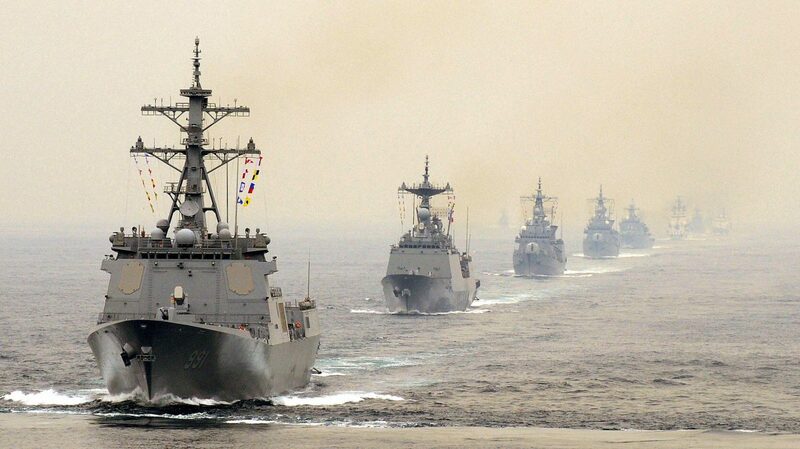 The 10-day exercise will “promote communications, interoperability, and partnership in the 7th Fleet area of operations,” reads a statement from the Navy’s 7th Fleet. The submarine Michigan arrived in Busan, South Korea, on Friday, and warplanes will also join the exercise, The New York Times reported. But he stipulated there is “great concern” for the citizens of Guam, which features a significant number of U.S. military installations. 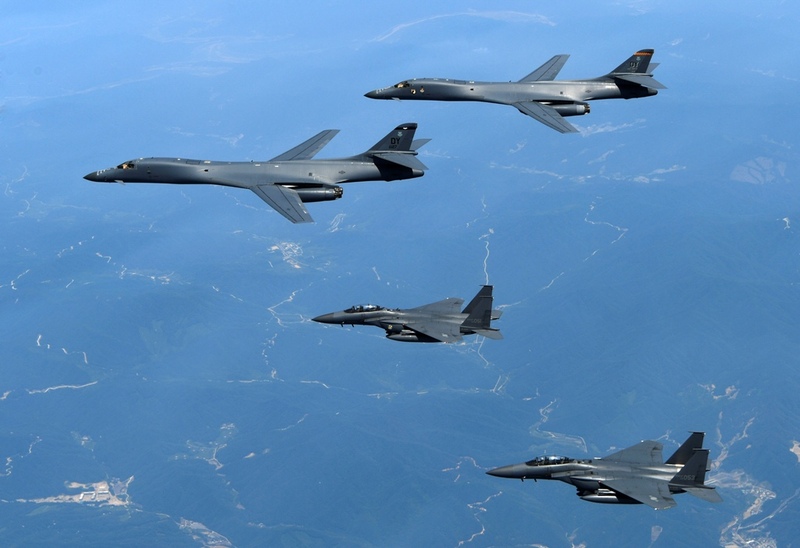 It comes after the U.S. military flew two strategic bombers over the Korean Peninsula in a show of force late on Tuesday, Reuters reported. 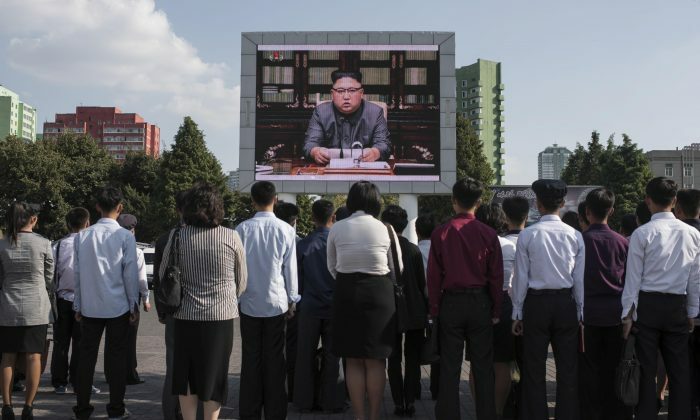 North Korea has launched two missiles over Japan and conducted its sixth nuclear test in recent weeks as it advances quickly toward its goal of developing a nuclear-tipped missile capable of hitting the U.S. mainland.